The restoration of the First Baptist Church will provide an elegant venue for a collaborative community theatre while retaining a home for the congregation. The project is a national model in the effort to save a sacred space through innovative reuse. WHALE believes this is the best chance to restore a National Treasure while making it accessible to the public. The First Baptist Church is now considered the most important building in the city that is in danger of being lost. Without restoration, the historical treasure still remains vulnerable during the winter months and may be damaged beyond repair. After a successful feasibility study, WHALE has led a team effort to repurpose the church as a collaborate performing venue while also retaining a home for the congregation. WHALE has been working closely with Your Theatre, Inc. on this initiative. This project is based on a national reuse model where congregations can become sustainable through shared space. When you restore historic churches while honoring its stewards, you are only enhancing that community. 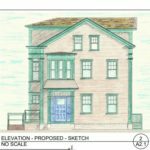 As a collaborative community theatre and local history exhibit, this project will further connect a historic neighborhood to New Bedford’s growing creative economy. The First Baptist Church is a prominent landmark and is a key corner building that anchors City Hall Square in the heart of downtown New Bedford. The meetinghouse was added to the National Register of Historic Places and designated a National Treasure by the National Trust for Historic Preservation due to its history in the creation of Parliamentarian Procedure. The national and international significance comes from one of its members, Lt. Henry Martyn Robert, achieving world-wide acclaim for creating “Robert’s Rules of Order” which have been adopted as the standard for parliamentary procedures due to his experience moderating a disorderly meeting held at the church. Built in 1829 in the Greek Revival style, this church is a two-story wood framed building that sits atop a stone foundation, rectangular in plan with a gabled roof featuring a steeple. The steeple was a landfall for whaling ships returning to port and it is the only surviving church featured on the City’s seal. 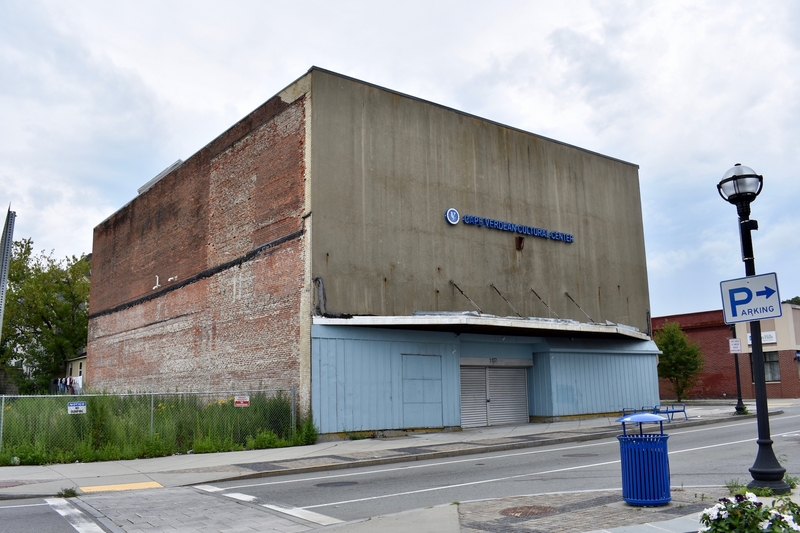 As an added performance venue in the downtown, the theatre will offer a full-fledged theatre for community-based or grassroots theatre groups and enhance the vibrancy of the Upper William St. neighborhood by attracting visitors to an area that sees less foot traffic. The project will be another symbol in the Downtown New Bedford Historic District showing that reuse and restoration of historic buildings is central to the cultural and economic revitalization of the community. 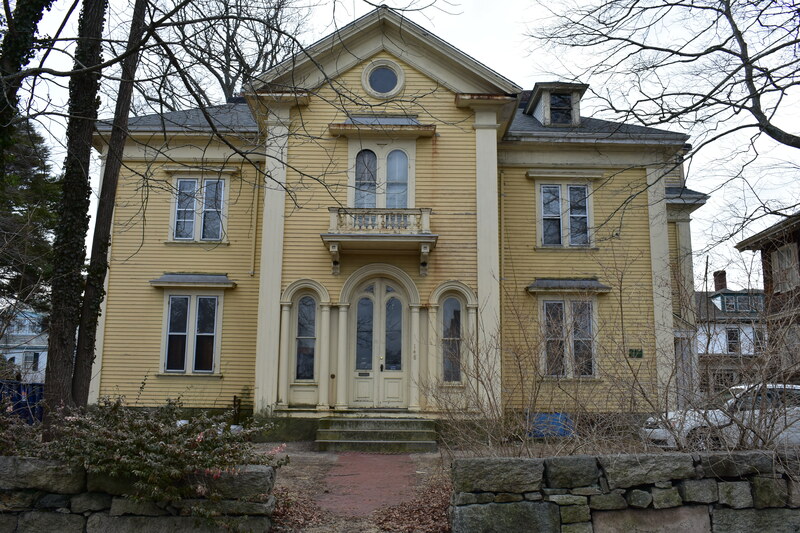 Spring 2014: The Mass Cultural Council and National Trust for Historic Preservation awarded Your Theatre Inc. and WHALE two grants for a theatre reuse study. 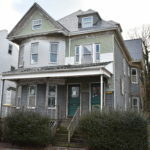 The project reviewed the feasibility of YTI and WHALE to purchase the site as a venue while also allowing the First Baptist Congregation to retain space for their services and mission work. With this successful report, WHALE moved forward as the developer with plans for a capital campaign. Spring 2015: National Trust for Historic Preservation named the First Baptist Church a National Treasure. This designation is an honor, but also emphasizes that the site is one of the most endangered historic icons in the country and could be damaged beyond repair without immediate attention. After a nationwide landmark review, they believe the First Baptist Church initiative is a defining example of their national model for shared-use partnerships to save historic churches, right in New Bedford, MA. Winter 2016: The MA Historic Tax Credit granted the historic site $250,000 for its first award towards construction costs. This is a major breakthrough, but there is a long way to go as these credits cannot be used directly towards the most pressing costs such as immediate restoration costs. Fall 2016: WHALE and Your Theatre, Inc. signed a Purchase & Sale Agreement to purchase the landmark after all financing is secured. At the Upper William St. Neighborhood Festival, over 70 residents came to the First Baptist Church to find more information and express their hopes for the campaign’s success. WHALE received over thirty personal accounts of concern for the building’s deteriorating condition. Winter 2017: After the boiler suddenly broke from renovation needs, WHALE released a community alert, concerned that the landmark could not withstand winter weather conditions. The first donors responded to the Phase 1 Immediate Stabilization needs to save the landmark before next winter hits. Along with individuals, Bristol County Savings Bank donated $25,000 for the replacement boiler. Over 40 volunteers joined WHALE and Your Theatre, Inc. to “button up” landmark by removing and reglazing over 40 historic windows. A master craftsman and the Carpenters Local Union 1305 boarded the site and guided participants through properly scraping and preparing the windows for paint. 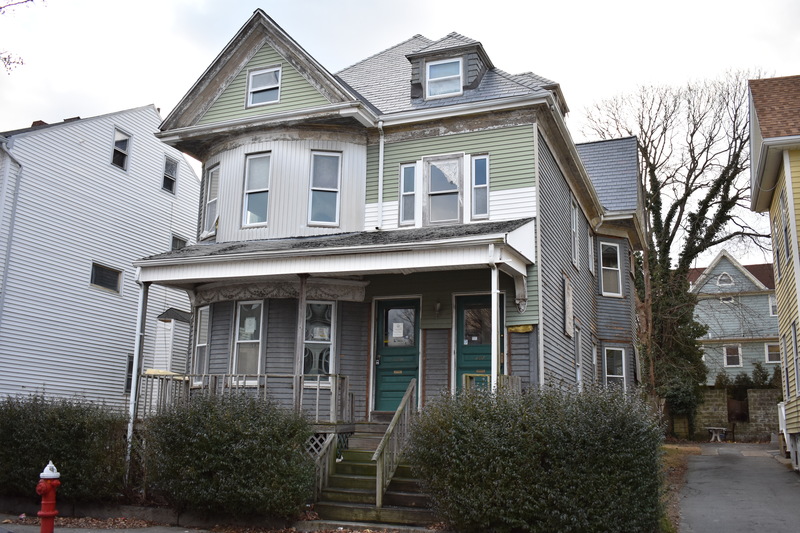 This ongoing in-kind initiative has saved over $80,000 of restoration expenses. Spring 2017: The window restoration is continued and joined by more apprentices of the Carpenters Local Union. Also led by a craftsman, a small team of hands-on preservation interns now gather to paint the windows while the rest of the campaign financing is secured. 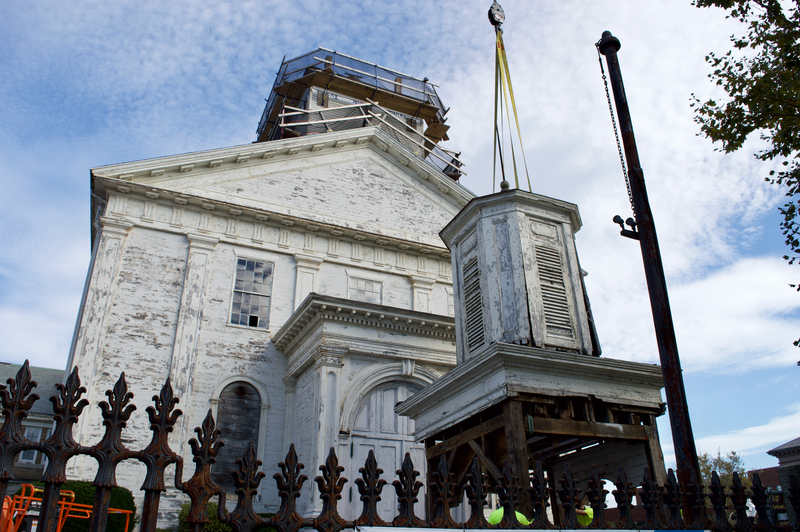 Summer 2017: After an engineering review, WHALE received confirmation that all four posts holding the belltower and steeple of landmark are rotted. Though already halfway toward our goal, we need another $60,000 to save this National Treasure. 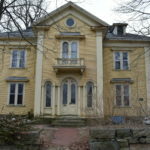 WHALE has released a national mailing campaign that targets preservationists based in New England. December 2017: WHALE and Your Theatre, Inc. purchase the landmark including a shared-use model agreement with First Baptist Church Congregation in place. For pictures of this development, follow our picture album on Facebook! 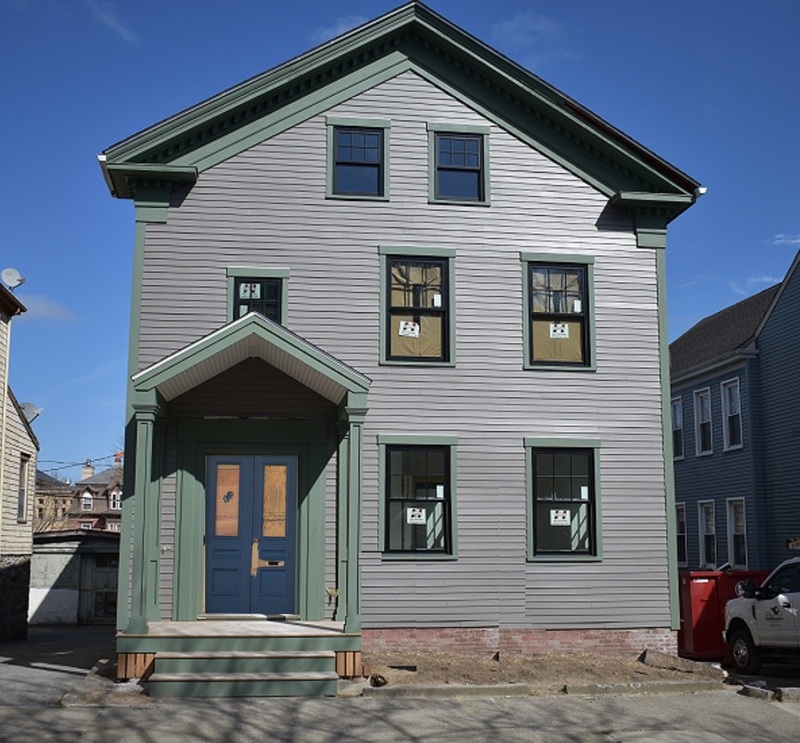 The First Baptist Church Restoration is an initiative of the Waterfront Historic Area League and Your Theatre, Inc. both nonprofit 501(c)(3) organizations are located and dedicated to the community revitalization of New Bedford, MA.